I love this movie. We usually watch it at least once a year. 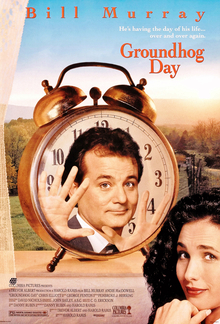 While not billed as a true “romantic comedy,” I always get the good vibes as the story between Bill Murray and Andie MacDowell unfolds in Punxsutawney, Pennsylvania. It’s one of those movies that is technically “vintage” now at more than 25 years old, but it’s also timeless. 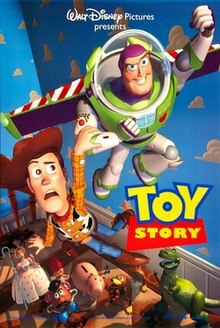 I fell in love with Toy Story when it was first announced. I loved the trailer. I don’t remember going to see it in theaters, although I was 8 years old when it was released in November 1995. However, we had it on VHS. I watched it so many times, I lost count. My parents still have the VHS copy today. I’m surprised I didn’t wear it out! There are so many different characters in this movie. I liked Woody, thought Mr. Potato Head and Ham were funny, and Rex was silly. Buzz Lightyear appeared to be the enemy invader at first, but he turns out to be a decent toy. There are several lessons to be learned in this movie, too – Friendship, caring, kindness, respect, and more.